As this year draws to a close, it might be time for a new perspective. Should we challenge our self-perception in 2019? Since deciding to work for myself, two years ago, I have had the privilege of meeting a lot of very interesting people. Only last week, I had the luxury of a one-to-one with the amazing Erin Thomas Wong, an inspirational finalist for the ‘influential woman’ category of the Venus Awards. Erin runs Making Mumpreneurs, an online community supporting mums building businesses around family life. Over a couple of perfect flat whites, at Little Pickles Deli in Boscombe last Friday, our discussion covered a lot of fascinating ground including the concepts of ‘self – limiting’ and ‘self-sabotaging’ behaviour within business (both of which are topics I plan to re-visit at some point). However it was a throw away comment on perception, in relation to self-esteem, that particularly stayed with me for the rest of the day. Making use of the handy split-screen function in my brain (I assume everyone has one and it’s not just me. It’s what makes multi-tasking possible isn’t it? But I digress…) I went on from my meeting with Erin to two further very constructive meetings, then completed a full supermarket shop (so tedious but necessary) followed by a school Christmas Carol concert (Sigh! So sweet!) and all the while my brain was chuntering away in the background, because something was bugging me and I couldn’t work out what it was. However, as soon as I walked through the door at home, at the end of the day I suddenly understood. ​Enlightenment dawned! Don’t worry, it wasn’t painful. My eyes were drawn to a large painting that I’d recently hung on the wall in my cottage, and that painting embodied precisely the concept I was trying to put into words. Initially, when I painted this piece, I was convinced that it wasn’t quite finished. It was very colourful, and great fun to do, but I couldn’t work out what was missing. In my mind, it simply wasn’t complete and, therefore, it was not good enough. Eventually I gave up trying to solve the conundrum it represented, as I had other commissions to do, my latest book to edit and no spare time, so this canvas was abandoned to the shed where it lurked mournfully for quite some time. Several weeks later I suddenly sat up in bed at 3am, wide-awake, gripped with an absolute certainty that I knew what this piece of work needed. Impatiently, I made myself wait until a more civilised hour, because rummaging around in the shed in the middle of the night is really not a sensible thing to do. This is the country, there are spiders the size of tractors in that shed! Nevertheless, as soon as the first sparrow signalled the start of the dawn chorus, there I was, scampering around the garden in my ancient old nightie and a pair of mismatched wellington boots, intent on dragging my forsaken canvas back into the house; whereupon I set about it with my power drill and screwdriver. I stood and looked at it in satisfaction. It wasn’t the actual painting that had been the problem. The painting was perfect all along. The way that I had been looking at it was what was wrong. This was the concept that I had been pondering after my conversation with Erin about all of the ways we limit our own success by not believing that we are good enough. Now, whether such an outcome is the result of psychological phenomena like ‘imposter syndrome’, I don’t know, but I do believe that we can often create a personal reinforced glass lid over our own heads that will prevent us from ever reaching our full potential. I am as guilty of this as anyone else. For twenty years, my role as a GP surgery manager was an uncomfortable fit. With hindsight I can see now that I was actually very good at my job, but at the time I felt that I was effectively standing in the way of someone who could potentially do it better than me. After an unexpected change in career direction that was triggered by my house falling down (Yes, I know! It’s a long story that I won’t go into right now, but do feel free to read my books if you'd like to know more. ), my situation has completely changed. My work now is that of an artist, an author and a speaker, and I love it. Fundamentally, I know with an absolute certainty that no one can be me, better than…well… me! So, I don’t waste any time waiting for someone else to come along and unmask me as a fraud. I simply get on with being me and working out just how far I can go with that. To date, I haven’t found a limit yet and that is very exciting! Therefore, with the New Year approaching, I thought I would share my musings on the many mental mind traps we can often put in our own way. These reflections are merely my opinion, of course, so don’t take them too seriously, it is Christmas after all. I believe that ultimate personal success is all about perspective. Do you like doing what you do? Or, are you weighing yourself down with self-imposed concrete boots? If you don’t feel that you are good enough, if you’re limiting yourself with fear or feelings of lack of worth then perhaps it is time to try to look at yourself from a different perspective. As with my painting, maybe trying a slightly different angle will be enough. The chances are that you are perfect just the way you are; but maybe some other things could do with a bit of adjustment. After all, any good jeweller will tell you that a diamond will only look its absolute best when placed in the right setting. So my humble suggestion for 2019 is that we stop self-limiting our success. Let’s challenge our personal perceptions and make sure we’re not putting self-generated boundaries on what we can achieve. It’s worth thinking about at the very least. 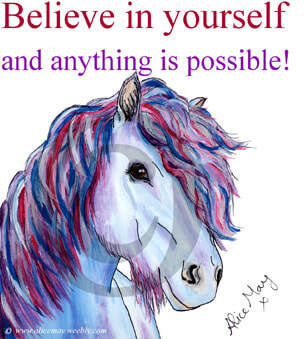 After all, we are all totally awesome and remember, anything is possible if we believe in ourselves! I’ve heard it said that one of the most important choices you will make, if you are suffering from depression, or a related anxiety disorder, is the decision to help yourself. From personal experience I genuinely think that there is a lot of truth in this. Perhaps the very moment that you choose to actively go looking for a way to get better is the critical turning point in the whole battle. If that is the case then I can’t help thinking that we are fortunate there are so many ways for us to start making a difference. These are all methods that go hand in hand with conventional medicine and are well worth discussing with your doctor. In my case it was certainly true, because my recovery was massively assisted through painting and I’ve frequently mentioned my belief in the power of art as a therapy. We should remember though that art doesn’t just mean painting. The definition of the word ‘art’ includes music, literature, painting and dance which is a massively wide sphere of potentially therapeutic avenues, and it is the concept of this which inspired the following painting. Dance also provides a strong link with sport and I feel that it is crucial not to overlook this as an avenue offering similar therapeutic possibilities to art. The dynamic combination of adrenaline, endorphins, fitness, achievement, teamwork and companionship can hold tremendous potential for lifting the spirits with additional diverse health benefits. My sport of choice is Taekwondo, it makes me feel good and I train as often as I can, but there are many different sports which cater for a wide variety of strengths and abilities. A bit of trial and error can identify the one for you. Fundamentally though, the vital stage in recovery is making that initial decision to find a way forward; to try to get better, because once you do that you are already winning. It will take time, and there will be occasions when it feels like you are taking one step forward and two back, but keep going and you will get there. 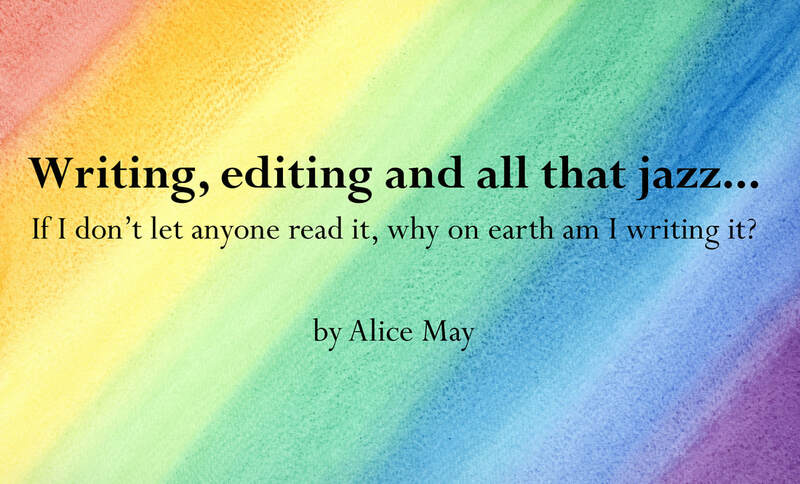 Writing, Editing and all that jazz..
What is the hardest thing about the whole book writing or publishing process? ‘showing it to someone else’ bit. Handing over that manuscript, the ‘digital baby’ that I’ve nurtured for weeks/months/years in my head and figuratively bled over (often typing until my fingers went numb in the small hours of the night) in order to translate that concept onto paper, is the hardest part. Until someone else has read it, my book is completely and utterly mine and I can kid myself that everything I’m trying to say in it works. To me it’s perfect. Only, of course, it isn’t perfect, it’s an early draft and so full of holes you could strain spaghetti with it. Holes that the person I show it to will see when they read it, holes they might not be tactful about when they give me their feedback. Nevertheless, I have to hand my manuscript over. There is no choice in this, because if I don’t let anyone read it, why on earth am I writing it? Will all that hard work stack up? Will they get what I’m trying to say? Basically, what I really want to know is this: Will they like it? I have to assume that most writers go through something like this. I can’t be the only one surely? So my next question is this: Does it get any easier? Well, this weekend I am in the interesting position of awaiting final (I hope) comments from my lovely editor on my third novel, whilst at the same time watching my husband read the very first skeleton draft of Book 4. I am beginning to think that perhaps two books under review at the same time, is taking things a bit far. It’s a nail-biting time for me and my usual go-to comfort activities (painting or reading) aren’t working. So no, I would have to say that it doesn’t get any easier. However I do understand that this is a necessary stage to go through in order to get to where I want to be. Reviewing relatively early drafts is a vital part of the whole lengthy editing process and I would suggest that you find someone you trust. Someone that you can rely on to say something along the lines of: “It’s great, I love it, well done, however…..” before they then point out all the holes. Let’s face it, you know they are there, so deal with them. Hopefully they will be identified in as tactful a way as possible. Each stage in the re-drafting and re-editing process will improve your work, your message will become clearer and, once you get to the final version, your confidence in the finished product can be well placed. Remember the first draft is merely you telling yourself the story. Subsequent versions are where finesse and polish are added in layers to the mix, resulting in a fabulous piece of work that you can be proud of. Dreams really can come true :-) x ! Three years ago I stood on my driveway and watched as my house fell down! The walls of my three hundred and fifty year old cob cottage crumbled before my eyes and in the space of thirty minutes my world fell apart! If anyone had told me at that precise moment of complete disaster that three years later I would be the author of two novels and that I would be happier than I have ever been before, I would not have believed them. That initial event which triggered this seismic shift in my existence resulted in everything I thought I knew being turned upside down. The loss of our home forced my husband, four children and I to move into a borrowed tent in the garden. We had no idea why our house had fallen down. Our family definitely had a mountain to move, and we were about to learn a great many things in the months to come, about ourselves and about survival against the odds. Not least of which was that we were going to have to turn into detectives to find out why our home had fallen down and then work out what we were going to do about it, all from a tent in the back garden! I had always dreamed of writing a book, but it wasn’t until eighteen months after our house fell down that I had the idea to take our personal homeless scenario and use it as the inspiration for a fictional novel. I wrote non-stop for over three weeks. The result was more than 60,000 words and a humorous story about an ordinary family living through an extraordinary event. ‘Accidental Damage – tales from the house that sat down’ is a heart-warming narrative about the true meaning of family values. It was published on 1st August 2016 and has been very well received, winning two ‘Chill with a Book’ Awards earlier this year. In fact, so many people have contacted me since it was published to ask me ‘What happened next?’ that I have taken to my trusty keyboard again and the sequel, ‘Restoration – more tales from the house that sat down’ will be published at the end of August 2017. My life is now completely unrecognisable from that which went before. I have been able to give up my job and concentrate full time on my writing which also enables me to spend far more time with my family. When I am not writing I am often telling my story to local groups as well as exhibiting and selling both books and original artwork associated with my story. ‘If I have seen further, it is by standing on the shoulders of giants.’ (Sir Isaac Newton 1676.) This is a well-known metaphor for society making discoveries by building on previous advances. It is a concept that can be applied to both authors and artists alike, inspiring each other to reach greater heights with their work. So as both an artist and an author, I am calling out to all artists and authors now! Don’t hide away with your easel or keyboard. We need to connect with other creative people. It helps us to grow and learn. I am not suggesting for one moment that anyone should ever ‘copy’ another creative person’s work. I merely mean that that it is possible to use the excitement, the buzz and the energy that comes from associating with other imaginative people to inspire ourselves to reach new heights. As writers we have a tendency to hide away with our keyboards and type frantically as we write our books, articles and blog posts. I also know from experience that the artist often works alone too, hidden behind the easel. But when the book is finished and the rejections start to come in, or the painting is dry and nobody buys it, then it can be easy to get disheartened. That is when you need to spend some time in the company of other creative people so you can share the highs and lows of your journey. We all have something to offer each other and together we are stronger. For example, from an artist’s perspective, I popped into Atelier in Saxon Square, Christchurch, Dorset last week. (This is an artists’ co-operative where you can pick up the most amazing gifts and see original art by extremely talented individuals.) I was there to interview the artist Sharon White about her experiences putting on several major, solo exhibitions in Dubai. She paints the most beautiful, mixed media pieces and I am totally in awe of her talent. We chatted for ages and for me the experience was very inspiring. In fact I ran home afterwards and started a new painting straight away. Marketing options are endless and it’s not always possible to know why one type will work for some authors and not others. So don’t be scared to try something new. Keep going till you find the one that works for you. Self-publishing is a totally legitimate way to go. Ignore those who are dismissive of this publishing route, especially if they haven’t ever written a book themselves. Be brave and get your work out there! It’s a waiting game. Building your profile as an author (similarly as an artist) will take time. Get on social media and join groups, chat to people, grow your digital identity. Above all, relax and have fun. There was so much positive advice flying around in one afternoon that, again, I came away totally inspired and eager to get on with my work both as an artist and an author. As soon as I arrived home, I painted the new cover for my next book, the sequel to ‘Accidental Damage – Tales from the house that sat down.’ Once that was done I blasted through three chapters with impressive speed and then wrote this article. Accidental Damage - Tales from the house that sat down' by Alice May is available from Amazon. This article is also published in the Writers Newsletter March Edition. From the point of view of my first novel ‘Accidental Damage’ I would have to say that art has been a massively integral part of the whole development of the main plotline. The story is written retrospectively from a mother’s point of view. She is an artist who is using her painting as a security blanket to help her work through the feelings of guilt she has about her role in events two years previously that lead to her and her family (husband and four children) suddenly becoming homeless. In a series of flashbacks we learn exactly how they became homeless and how they coped with the situation. At the same time we see the mother, in the present, reacting to each stage of the remembered story with a new piece of art. Although ‘Accidental Damage’ is mainly a work of fiction, it was inspired by true story (yes, we really did live through a home-collapse disaster) and so the artwork described in the book actually does exist. This fact significantly helped to lend the writing authenticity as there is a very deep connection between the paintings and the emotional journey that the central character takes throughout the story. It was also a nice touch to be able to use one of those pieces of art for the design of the cover for the book. On a more theoretical level though, while the development of either a painting or a plotline seems to follow a similar path, there is not often an opportunity for one to actually overlap with the other. This is probably what made writing ‘Accidental Damage’ such fun. The only real issue I have it with it all is the fact that I haven’t yet worked out how to paint and write at the same time. Writing about painting in ‘Accidental Damage’ was probably about as close to doing that as is possible.